Working on a cell tower is one of the most dangerous occupations in the world, with recent estimates suggesting that a cell worker is up to ten times more likely to die on the job than a construction worker. There is a strong demand for this work, however, and the demand is only expected to increase as newer and more versatile mobile devices reach the hands of the public. New towers are being constructed at a growing rate and existing towers require maintenance, meaning cell tower workers are provided with excellent job security, even though the job can be treacherous. In addition to working with electricity and at great heights, cell tower workers must endure inclement weather and natural obstacles in order to perform their duties, often at heights exceeding 2,000 feet from the ground. Over the last nine years, there have been 100 reported cell tower worker deaths, with the most common causes including the following. Falls from great heights. From an elevation of 2,000 feet or higher, cell tower workers have no chance of survival if they happen to fall to the ground. Electrical injuries. Workers on cell towers are constantly working with live electrical components, posing the risk of electrocution. Falling objects. Working near the ground while on a project can be just as dangerous, as it is possible for objects to fall from above if a worker drops a tool or weather conditions cause objects to fall. The collapse of a tower. It is always possible for the structure itself to fail, especially when inclement or severe weather is involved. Lightning strikes. It is possible for bad weather to creep up on workers quickly and the elevation puts workers in the path of possible lightning strikes. Poor training. 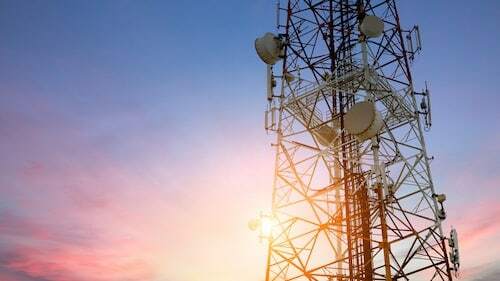 Many cell tower workers do not receive adequate safety training and are killed in preventable accidents that result from poor decisions on the job. OSHA has established guidelines for all employers to follow which would ensure workers are kept safe while on the job. This includes training guidelines, recommended personal protection gear and guidelines for determining when the conditions are unsafe for workers to proceed. Many accidents occur when workers are forced to work at night or when the weather makes it unsafe. If an employee is injured or killed on the job, the worker has the right to worker’s compensation benefits. These benefits can also help provide for his or her family in the event the worker dies from an injury. In addition to medical expenses, you may be able to recover compensation for wrongful death, permanent disability or pain and suffering. Many workers and the families of those killed in accidents prefer to have an attorney handle their claims because they don’t trust that the company will not attempt to deprive them of the benefits they are entitled to receive. Rosenfeld Injury Lawyers LLC has helped thousands of people with their worker’s compensation and wrongful death claims. We understand the emotional and financial turmoil you are undergoing and will do everything in our power to ensure you are awarded every bit of compensation you deserve. We would like to invite you to contact us today to arrange a free consultation so that we can review your legal options and tell you more about how our award winning attorneys can help. If we are unable to secure damages on your behalf, you are assured that our services will cost you nothing at all. We look forward to serving your needs.